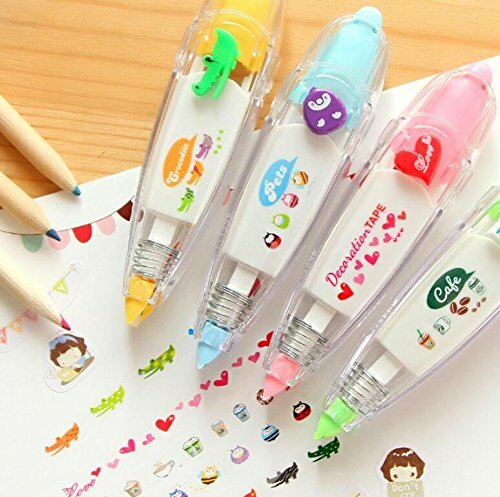 4 Pack Novelty Cute Cartoon Correction Tape Sticker Machines Pen Adhesive Kawaii Stationery Masking Tape School Supplies DIY Scrapbooking Stickers Diary Décor,Q433 by Ecago at KBFS. MPN: Q433. Hurry! Limited time offer. Offer valid only while supplies last. View More In Erasers & Correction Products. If you have any questions about this product by Ecago, contact us by completing and submitting the form below. If you are looking for a specif part number, please include it with your message.